Our bonded leather Keyfob is the perfect accessory for your keys. 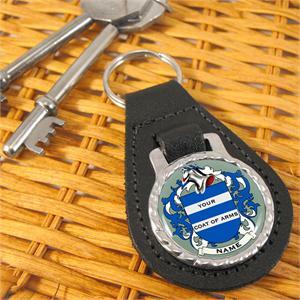 A pear shaped bonded leather fob securerly holds a chrome disk that contains the full colour enamelled badge, which is both water resistant and scratch resistant, with a chrome split ring to hold your keys, means this keyring will last a lifetime. Complete with velvet gift pouch this is the perfect gift for any enthusiast.